Nonaka had six brothers and one sister, marrying in 1931 and fathering five children. He ran a hot spring inn in his hometown and in retirement enjoyed watching sumo wrestling on TV and eating sweets, according to local media. 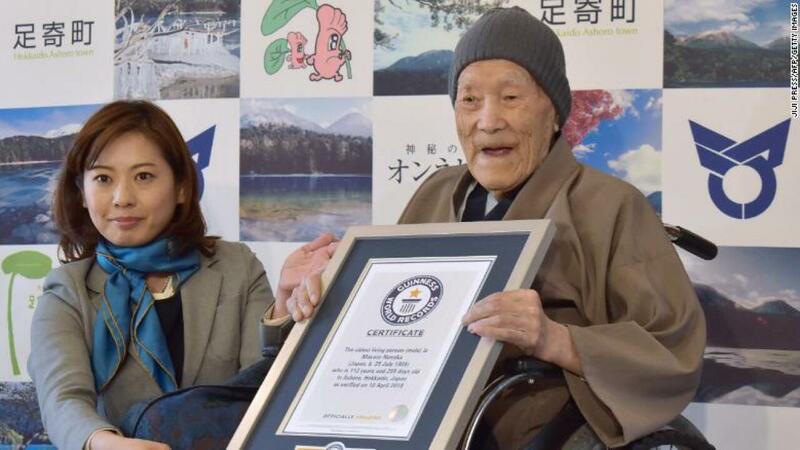 Japan has one of the world’s highest life expectancies and was home to several people recognized as among the oldest humans to have ever lived.